Living in a 3D world, why do we so freely accept the limitation of 2D? While splitters, rear wings, body kits and wheels can be augmented to give a vehicle a bold image of depth, many surface area details of car’s bodywork are not easily inviting to the effect of 3D. Sure refabrication or replacement of body panels could draw new character to a vehicle (for a handsome price). What if a solution existed where unique, high-end 3D customized components can be applied with the relative simplicity as a vehicle body wrap? 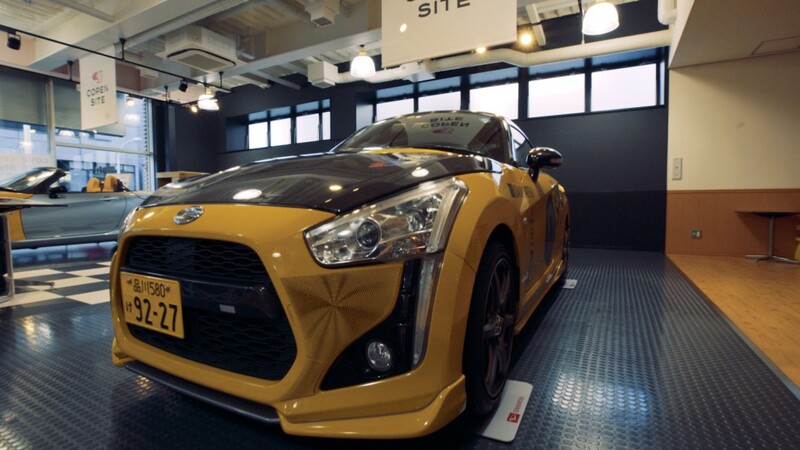 Japanese auto brand Daihatsu Motor Company Limited and several partners have formulated a groundbreaking step for automotive customization unleashed by untapping the still-unknown potential of 3D printing. Daihatsu working alongside 3D printer producer Stratasys, industrial design company Znug Design Inc.’s Kota Nezu and Sun Junjie, a selection of applicable styling components they describe as “Effect Skins”. Effect Skins are 3D printed using a durable ASA thermoplastic incorporating both a flashy design and texture. Produced in two weeks using Stratasys’ Fortus Production 3D Printers, the development of the components was considerably shorter than the two or three months similar jobs would have taken without 3D printing. Advantages of 3D printing have largely benefited customized creations up at this time. Proceeding to become one of the first automakers in the world to provide access to 3D-printed custom components in a large scale, the production of piece using the technology affords creators the ability to explore construction methods not possible with other types of tooling. A total of 15 designs has been prepared already with the Effect Skins technology available in 10 colors. Each Effect Skin contains a compelling pattern exploring all three dimensions of view. Sun Junjie and Kota Nezu exercised several themes in their conception of shapes to adhere to the test vehicle, a Daihatsu Copen two-door convertible. Initially, the Effect Skins have been prepared for application on areas of the front and rear bumpers as well as fenders. With the 3D printed Effect Skins, the opportunity also exists for customization to request personalized styles and colors. 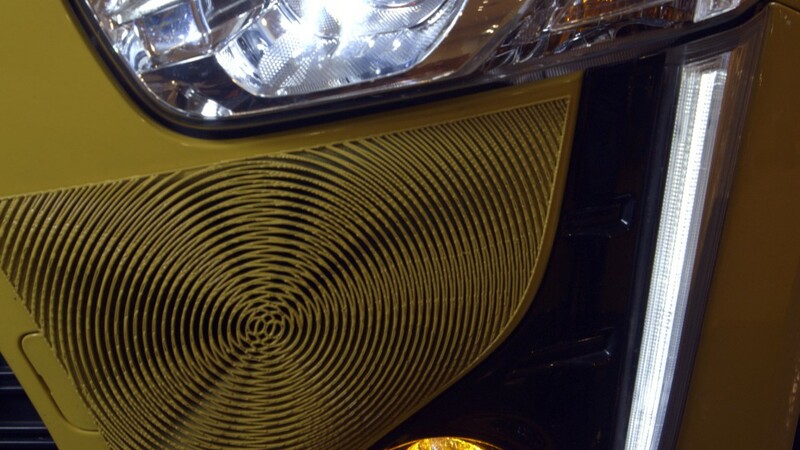 “We believe on-demand production [with 3D printing] offers definite benefits to supply chain efficiencies,” said Daihatsu Motor Company Limited’s Corporate Planning Department and Brand DNA Office General Manager Osamu Fujishita. The auto company is presently testing the Effect Skin technology for the remainder of this year with intentions of fully deploying the customizable product for 2017. Want a unique wrap for your own vehicle? Find a vinyl wrap professional HERE.